Self-organizing particle systems consist of numerous autonomous, purely reflexive agents (“particles”) whose collective movements through space are determined primarily by local influences they exert upon one another. Inspired by biological phenomena (bird flocking, fish schooling, etc. 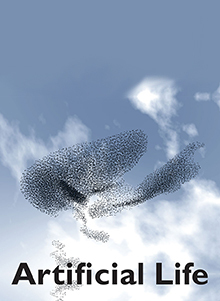 ), particle systems have been used not only for biological modeling, but also increasingly for applications requiring the simulation of collective movements such as computer-generated animation. In this research, we take some first steps in extending particle systems so that they not only move collectively, but also solve simple problems. This is done by giving the individual particles (agents) a rudimentary intelligence in the form of a very limited memory and a top-down, goal-directed control mechanism that, triggered by appropriate conditions, switches them between different behavioral states and thus different movement dynamics. Such enhanced particle systems are shown to be able to function effectively in performing simulated search-and-collect tasks. Further, computational experiments show that collectively moving agent teams are more effective than similar but independently moving ones in carrying out such tasks, and that agent teams of either type that split off members of the collective to protect previously acquired resources are most effective. This work shows that the reflexive agents of contemporary particle systems can readily be extended to support goal-directed problem solving while retaining their collective movement behaviors. These results may prove useful not only for future modeling of animal behavior, but also in computer animation, coordinated movement control in robotic teams, particle swarm optimization, and computer games.